The Fall 2010 Xbox update is pretty good. There are a lot of additions of third-party content, and the UI is, you know, better. But users want more. Here are some ideas, dudes on the Xbox team, that I'd really want to see. Back in 2008, when you first showed off the New Xbox Experience (the new dashboard), everything was fast, smooth and fast. It was also fast. Did I mention fast? The problem was, I saw this at E3, where there were no ads and no animations to clutter up the experience. When the release hit, everything was bogged down and it was no faster than before. As good as the NEW new experience is, it's still pretty slow when you're pulling up the dashboard, loading up Netflix/ESPN/Zune and just cycling around. Definitely could use more optimization here. I'm not saying take the ads out, I'm just saying make sure none of it is slowing down the experience. The Xbox is already capable of acting both as a Windows Media Center Extender, being a front-end for using your PC as a DVR, and as a digital extender for fiber TV services. But why not use the new Xbox as a standalone DVR? It's got the capacity—a 250GB hard drive built in to all non-cheapo models—and plenty of USB ports to support external digital recorders. Slap an ATI external CableCard receiver on there and Microsoft has a powerful DVR, one that's internet connected and capable of streaming video. And it's already in millions of living rooms. 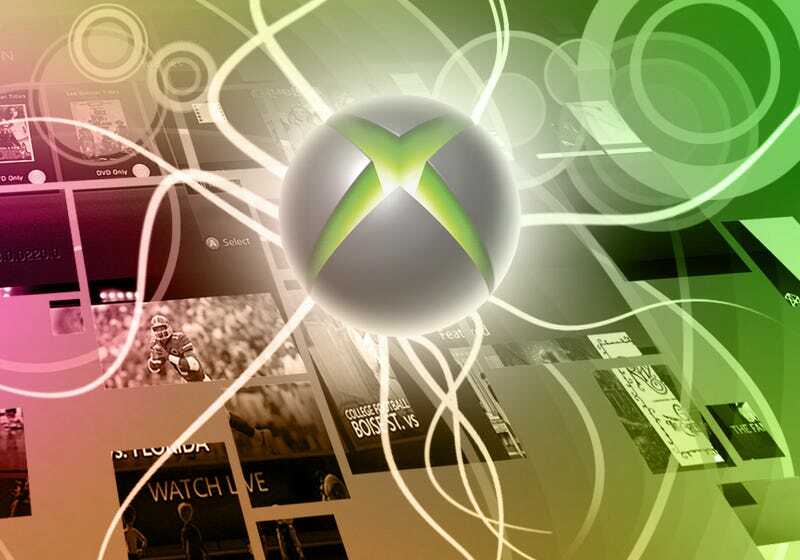 Netflix, ESPN and Hulu Plus is a good start, but the Xbox can be even amazing if Microsoft makes a few more business deals to get more content to the device. With the Xbox Live Gold subscription built in as part of the deal for half the customers already, Microsoft already has money coming in to make this happen without eating the fees themselves. Apple, Google, Roku, Boxee, TiVo, Sony and many others are all diving into the set-top-box space, and since Microsoft already has a box there, it only makes sense to expand their offerings to push everyone else out. On the topic of video, everyone's been waiting years and years for Microsoft to support more codecs like MKV, which are popular among people who "download" instead of purchase. Having your box be capable of supporting this doesn't mean the people who are going to pay for Netflix or Hulu Plus won't, it just means the people who would turn elsewhere for a set-top-box that plays MKV will buy an Xbox 360 instead. You know how Google TV lets you use your Android phone as a remote, and how Apple TV lets you use Apple Remote on your iPhone/iPad as a remote? Do that for your Windows Phone. Also! Also! Because there's no "Xbox portable", like there is a PlayStation Portable to Sony's PlayStation 3, the Windows Phone will need to do. Tie this into games, like Madden, where you can call plays directly on your phone without the guy next to you seeing what you just did. Or in Halo, where you can have a scorecard or radar or otherwise interact with the game via another interface. Or, in a driving game, where it can be your rear view mirror. Developers can find lots of stuff to do with an extra interface. An open API for developers to put apps on your TV would be phenomenal. We've seen Facebook and Twitter on the Xbox, which are decently implemented, but there can be lots more things people can do given the chance to access the 360's hardware. For example, a multi-person teleconferencing app using Kinect. Everyone's Xbox is already hooked up to their TV, and Kinect is going to be in plenty of houses. It's most likely never going to happen, since Microsoft is betting heavily on streaming tech such as Netflix and Zune, but there's still a case to be made for Blu-ray. If I had the choice of playing Blu-ray discs rented from Blockbuster or Netflix, or watching the same movie streamed, I'd choose Blu-ray every time because of the quality. Right now, the lack of Blu-ray is the biggest checklist item that Sony has over the Xbox. Imagine being able to spectate your friend play a game, similar to how OnLive works on the PC/Mac. Having this built into the Xbox on the system level means you could play along and chat with your buddies across the country when they're playing a single-player game, chatting and giving them suggestions on what to do. It might not be too practical now, with the upload speeds of most homes not being high enough to support even a compressed 1080p stream, it's been a personal dream of mine to do this with my buddies. With these features, the Xbox would pretty much force out a lot of competing boxes and consoles. Other than the whole Blu-ray drive thing and the CableCard adapter, all this is doable in software. And if there's one thing Microsoft knows, it's software.